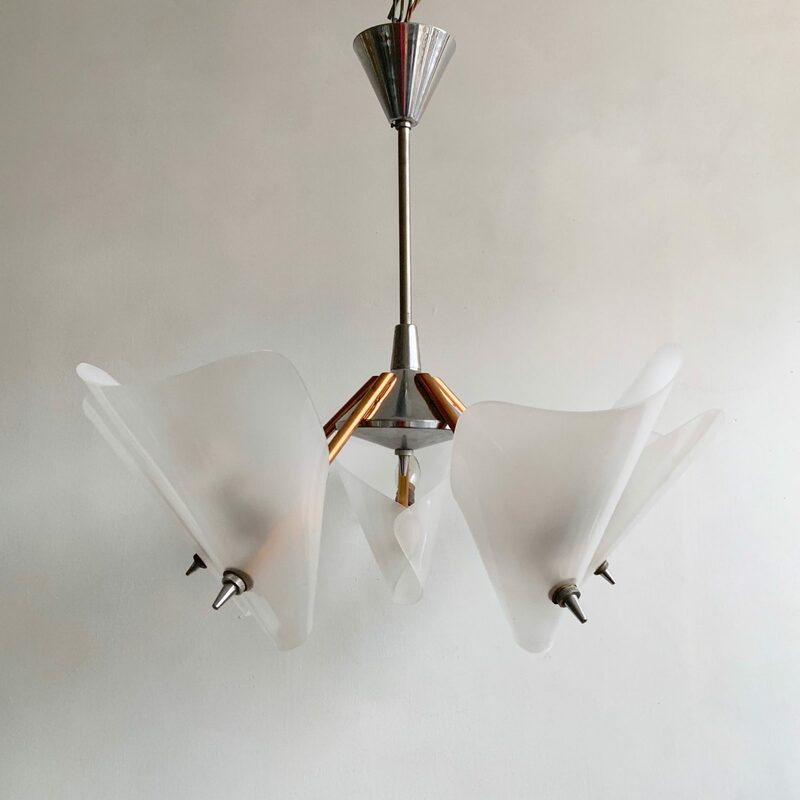 Mid-Century copper and chrome uplighter with plastic frosted conical shades. Each shade can be easily removed to allow better access to the lamps. There is a slight blemish in one of the plastic shades – please see photos. This pendant requires five B22 lamps and would suit a medium space. Wiring can be adapted accordingly for other countries. This chandelier has been fully restored and rewired here, in Stockport, near Manchester by our small team of experts and is now ready to be installed. We recommend that this chandelier is installed by an electrician and into a joist or a supporting noggin. To clean the chandelier dust the brass components regularly with a soft cloth.